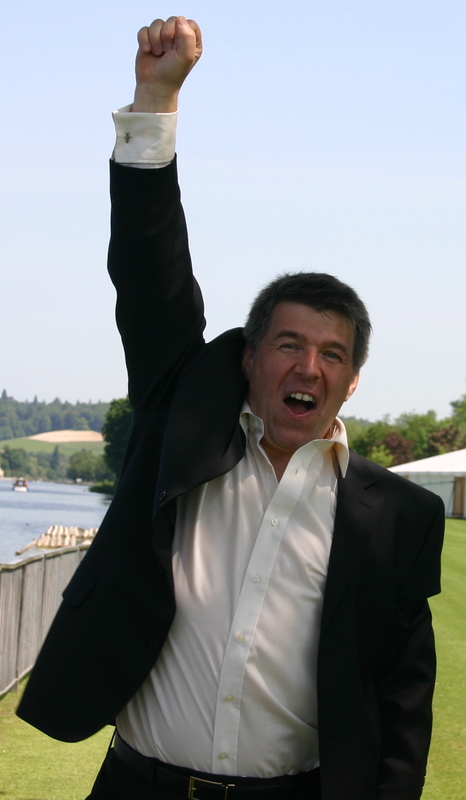 Jonathan Blain is a bestselling author, speaker, senior executive coach, consultant, and entrepreneur. Previously he has been a Royal Naval Officer, worked at Mobil Oil Corporation, been MD of a FTSE 100 Subsidiary and CEO of a Publicly Quoted Company for nearly 5 years. His work has been endorsed by many top leaders including nine heads of UK top 1000 companies including: Apple, Sony, Carphone Warehouse, St James's Place, The Director General of the Institute of Directors, The First Sea Lord of the Royal Navy and the ex President of Luxembourg. He has appeared on national and international TV and Radio and in Print Media on numerous occasions. He is a leader, innovator and game changer, most comfortable at the leading edge of progress, human endeavor and enterprise. He is original and has big, bold, inspiring ideas, that can positively change the status quo. He is on a mission to make a difference and to help others to Live Better Lives, Have Better Careers, Run Better Businesses and Organisations, and Make the World a Better Place. A lifetime of extremes, with massive highs and lows, has given him a reservoir of knowledge and experience, to help others on their journey. It has grounded him in reality, given his humility, and transformed him into a servant of humanity. His life purpose is to use his emotional sensitivity and self-expression to uplift and help others. He makes people feel courageous and hopeful and shows people paths they were not previously aware of. Jonathan helps others to: Achieve More, Be More, Do More, Know More, Have More and Make a Bigger Difference, by embracing the immense power of wisdom, love, and imagination. "When I was young I used to like watching movies, and I decided I wanted to have the sort of exciting, adventurous and rewarding life that I saw people in the movies having. I quickly realised that this life wasn’t going to be laid on for me, so I set about becoming the author of my own life story, and director of my own life movie. The result was that I gained a huge amount of experiences, both good and bad. I experienced some massive highs and lows, had plenty of real life adventures, made and lost millions, found myself in many life threatening situations, including being shipwrecked in mid-Atlantic, and at one time reached rock bottom. A massive curiosity, led me on a journey of discovery; I wanted to understand the meaning and purpose of life, and how we can all make the most of our lives and our time on earth. That journey led me to an epiphany that transformed my life. I had a strong feeling that everything I had ever learnt, discovered, done, experienced and achieved, was part of a lifetime apprenticeship, to prepare me to help others on their life journey. My ego gave way to humility, as I discovered my destiny to become a servant for humanity, helping others. I am most comfortable at the leading edge of Progress, Human Endeavour and Enterprise, I particularly enjoy finding innovative and creative ways of solving problems, delivering improvement and creating and exploiting opportunities, which help people to live better lives, have better careers, run better businesses and organisations and make the world a better place." 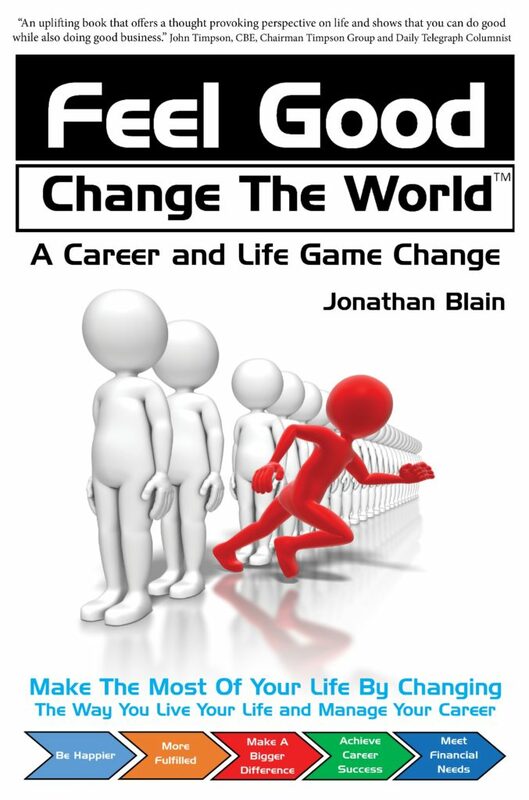 About "Feel Good Change The World"
"I've written and had published 13 books, which have generated sales of over $3.8m, but the Feel Good Change The World Book was different to all the others. The message in the book feels like it has come through me, rather than from me. Just saying that feels slightly uncomfortable, but the late, bestselling author Dr Wayne Dyer, talked about just such a thing. I think sometimes writing is a cerebral process; you think about what you are going to write and put it down on paper or type it into a computer. That is what I have done with all my other books. Writing this book has felt more like a stream of consciousness from a higher source, a feeling of clarity, where the words have flowed onto the page. It didn't start like that, the current version is the fourth version. Each time, I felt cerebral process starting, I had that feeling something wasn't quite right, so I started again with a clean sheet of paper and a blank computer screen, until the published book arrived. Dr Wayne Dyer described it as co-creating with the universe, and urged not to let your ego take the credit. Somehow I feel happy being a humble messenger, delivering an important message for you and the whole of humanity. On the back cover of the book, I describe the book as being of "life and death importance". I also feel slightly uncomfortable saying that, but the truth is, that the contents of the book are deeply important and the relate to matters of life and death; your life and death, and the life and death of everyone and all living things. We are living in a totally unique time in the history of humanity; three factors in particular, have come together to create an extraordinary and very serious situation, that has an impact that effects each of us, and all living things, either negatively or positively. When you discover the truth and make the connections, you will discover that humanity is literally on a knife edge balance, between great opportunity on one side and enormous threats on the other. The balance is finely poised between the two sides, as if it is swaying from one side to the other, but when looked at objectively, the weight of the balance seems to be favouring the the threats more than the opportunities, which is why change is needed urgently. You need to read this book for yourself and for the future of humanity. You need to discover the truth and make the connections, and if you do that, you are highly likely to see the need the change the game. This book shows you how. There is a lot of fascinating things in the book, but when you bring it down to the core essence, you will discover that you need to make the most of your life right now; the quality of your life matters. You can feel good, by making a big difference and positively changing the world. What is truly good for you, is also good for others and the wider world. You can have it all, but you've got to game change your approach to the way you live your life and manage your career. You can be happier, more fulfilled, make a bigger difference, achieve the career success you desire and meet your financial needs and desires. You've just got to read the book. When you truly get it, you'll most likely want to join the feel good change the world movement, and to help you along the way, you might want to use the accelerator programme, to help you to achieve better things and make a bigger difference quicker.